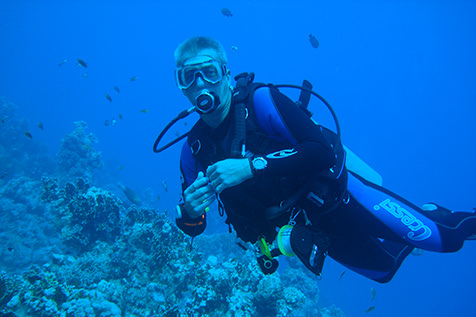 Northampton Scuba Centre was formed in December 2000 by husband and wife team Bryan and Helen Bond who have been professional divers since 1996. We are a PADI 5 Star Instructor Development Centre offering a full range of courses from Try Dive to Instructor as well as a variety of kids programmes and parties. Our key approach is one of flexibility with course dates and times to suit students so that they can learn at their own pace. We have a full range of Scuba and Snorkeling equipment in our dive shop with guidance and advice on equipment purchases together with after sales support. We provide air to 250 bar and O2 clean air plus on site equipment servicing. Our Scubanuts dive club is open to all divers with benefits including free monthly pool sessions and social activities throughout the year. We arrange UK and Overseas trips and holidays as well as giving members equipment and course discounts. Membership is only �25 per year.